This is a simple and very easy recipe for homemade mayonnaise. Mayonnaise is sometimes also just known as mayo and is often used as a condiment or as spread in a sandwich. 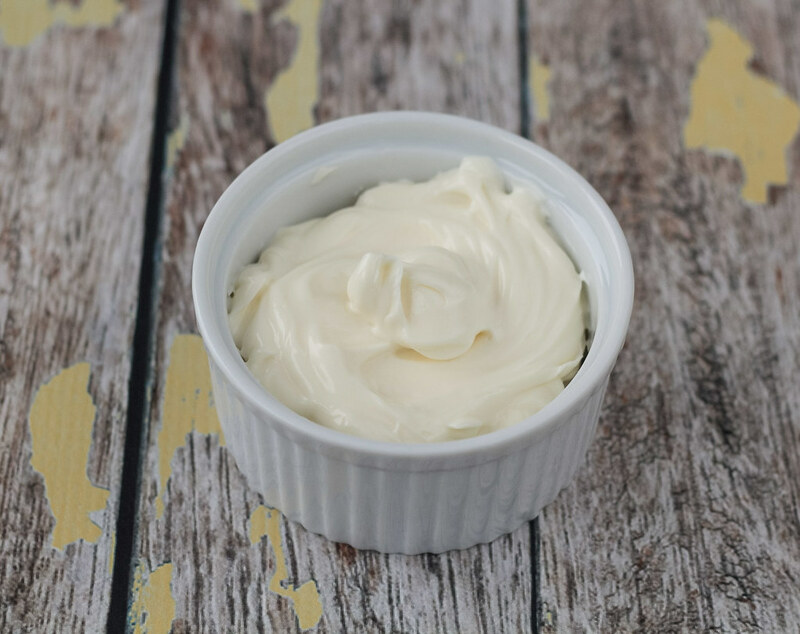 This homemade mayo only contains 4 different ingredients, it is easy to make and we think that the taste is so much better compared to the mayonnaise you can find at the grocery store – especially, if you are used to eat the cheaper brands. A typical mayonnaise is based on eggs and oil. However, in some countries different extra ingredients are added. In France mustard is sometimes added which gives the mayonnaise a stronger and more yellow color. We personally prefer the completely white and very simple version based on fresh eggs and tasteless oil. Especially the oil can make a difference. We normally use tasteless oil like sunflower oil. However, at some places the mayonnaise is based on olive oil which gives it a special, but still great, taste. This serving is not particular large but it can easily be doubled if you like. We normally only make one serving which gives about 2 dl (1 cup) of mayonnaise. This way we only make the mayonnaise when we need it and avoid having a large amount which maybe will turn bad. 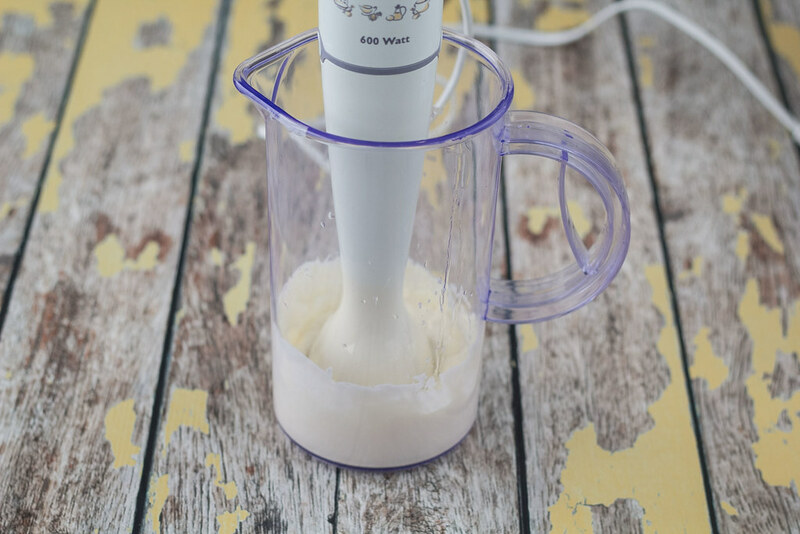 We always use our stick blender to make mayonnaise – It is easy to use and it is less likely that the mayonnaise will separate compared using a whisk. We always use fresh organic eggs. However, you can also use pasteurized eggs if you are worried about salmonella. Salmonella is a bad bacteria which have had a lot of focus in Denmark the past decade. However, today the production of eggs are done in a very strict and controlled environment and the problem is almost not existing anymore. 1. 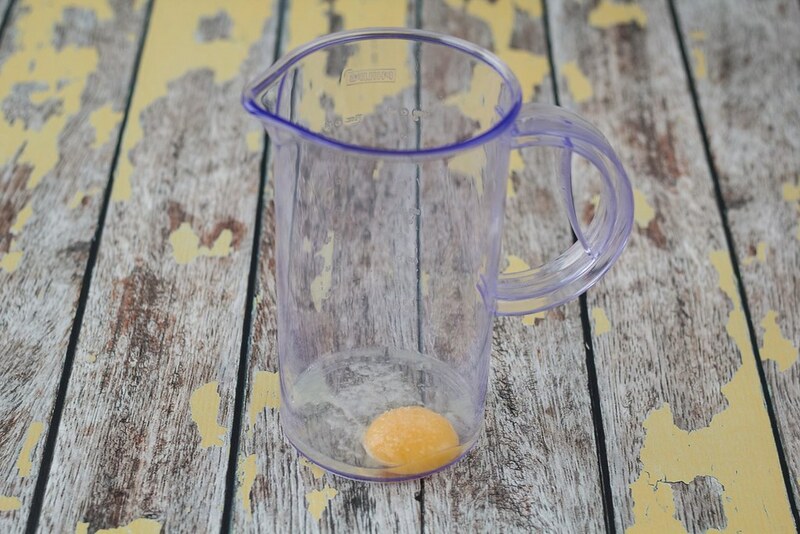 Pour the egg yolk (optional: and 1/2 egg white) in a small pitcher or bowl. 2. Add a pinch of salt and lemon juice. 3. 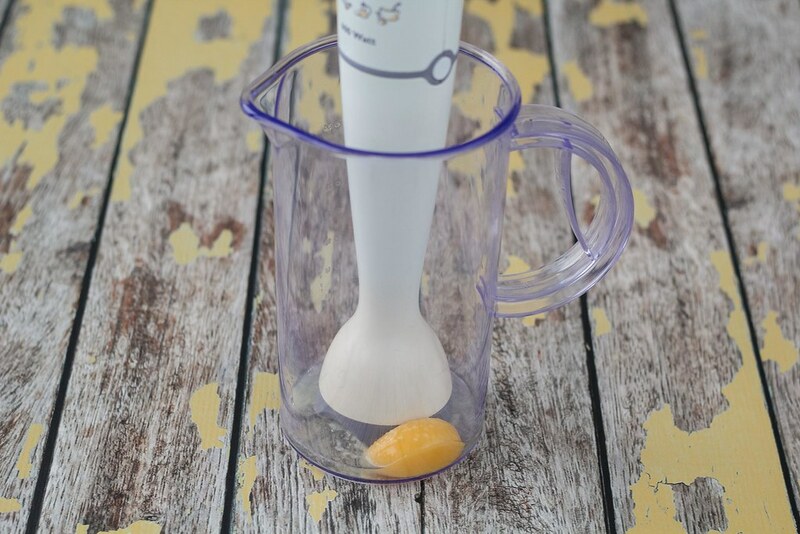 Use a stick blender (immersion blender) to mix it together. 4. Add the oil slowly and step wise while blending. 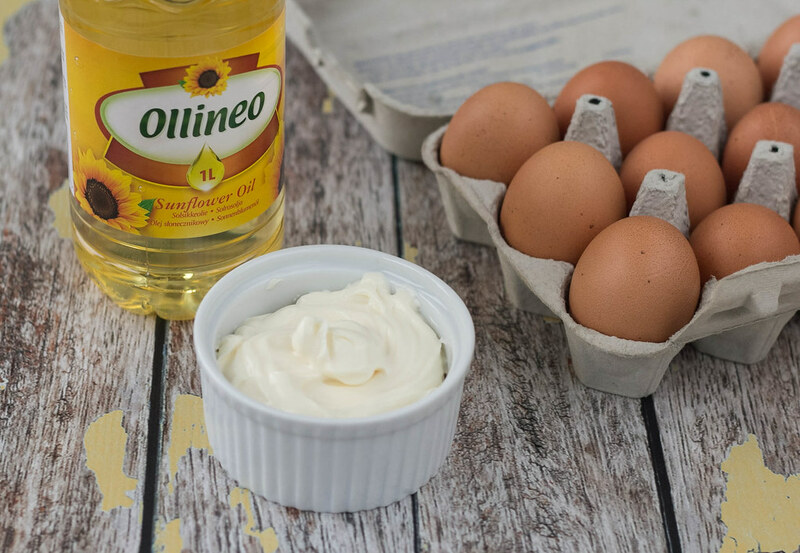 It is important that the oil is added step wise, especially in the beginning – otherwise the mayonnaise will separate. 5. Continue adding the oil slowly until all the oil is nicely mixed with the egg yolk. Then the mayonnaise is done. Tip: If you do not eat the mayonnaise right away; store it in a sealed glass which has been cleaned with boiling water. Hi Kim, love your website. Are you by chance related to the Danish owners of the Nielsen’s Deli in Houston, Texas? Their potato salad is famous for its homemade mayonnaise and I’d love to get the recipe. They don’t use sour cream or yogurt, just a homemade mayonnaise that’s very white, creamy and tangy. They make it each morning and reportedly cook the mixture, like a boiled dressing, using white wine vinegar. It’s not sweet rather it’s very savory. The potato salad is quite simple: potatoes, onions, celery, hard-boiled eggs, and their secret mayonnaise. They use the mayonnaise in other deli items too, like their deviled eggs and sandwich spread. Hi Monica. I am not related to the owners of the Nielsen’s Deli in Houston. ‘Nielsen’ is actually a really traditional family name in denmark. I know that there are many different ways of making a potato salad and I also know that many perfer to use real mayonnaise. I normally perfer the sour crema/yogurt version. However, the potato salad you are describing sounds really delicious. Hi Josh. Actually, that’s a good question. I’m not 100% sure, so I would recommend to keep it in the fridge.